The philosophy behind the practice of karma yoga is part of the teachings of life, whether you practice a certain religion or not. Usually, the mention of karma yoga will have one thinking of Hinduism or Buddhism because yoga teachings can be found in both religions due to their interrelations. There are many interpretations of what karma yoga is and how it works. I choose to understand that karma yoga is the path of selfless service which is to be performed to create a better world for all living things and hopefully a better life for the server in the future or the next life. On the other hand, we must not forget that what we experience today is the result of our past actions. Generally, karma yoga is based on a universal law which says that for every action, there is an opposite reaction. In this context, it means that by serving others, we invite good acts into our own lives. With that being said, we have to keep in mind that benefit from such actions is not the pure motive of our willingness to serve and do good to others. Some also perform karma yoga merely because of the fear of God. Therefore, I think God fearing humans should reevaluate their intentions or else the purpose of their actions become impure. At the end of the day, such selfless actions will keep you smiling, knowing that you have made a positive difference in the life of a living thing. With that good energy around you, you will become a better person, benefiting everything and everyone around you. The recent trend which is catching up in the travel sphere involving karma yoga is “VOLUNTOURISM”. It combines traveling with volunteering for a charitable cause. Volunteers can choose to contribute to their preferred cause by giving their time to do anything from the level of a blue collared worker ( which does not require much experience ) to a white collared professional ( which definitely require some relevant certification ). There are many non profit organizations who welcome voluntourism. There are also many ways to go about it, for example, some travelers pay for their expenses from lodging to food but there are also many organizations who provide basic lodging and food. Bored Of Rice, Noodles And Pasta?? Living in Asia, we consume mostly rice and noodles, the occasional pasta, but rarely the traditional North African substitute to carbohydrate, namely couscous. 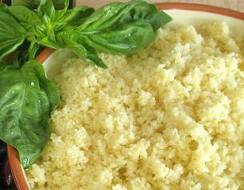 Couscous is granules of semolina made from durum wheat which are precooked and then dried. It is easily obtainable from supermarkets and takes only about 5 minutes to prepare. Despite the belief that couscous is actually healthier than any of the 3 carbohydrates above, some claim that it is higher in GI level* and should be avoided by people with wheat intolerance. Looking at the GI Index chart , the GI Index for couscous is 65, noodles 40, white pasta 41 and white rice 98. That means that noodles and white pasta are lowest in carbs followed by couscous and the Asian favorite, white rice. ( ie: salads ), main dish ( as a replacement to rice or pasta ) and dessert ( ie: with sweet sauces ). So, do stock some couscous in your kitchen cabinet. To all rice enthusiasts or those who think you can’t live without white rice in your daily diet, please reconsider your options. For example, brown or basmati rice are equally as delicious and healthier than white rice. If that does not work for you, then try to mix them with your white rice so you get the best of both. * What is GI level?